Time for a little Monday-afternoon quarterbacking. Your chili: induced ear smoke. Your color commentary: approached Cosell-level greatness. 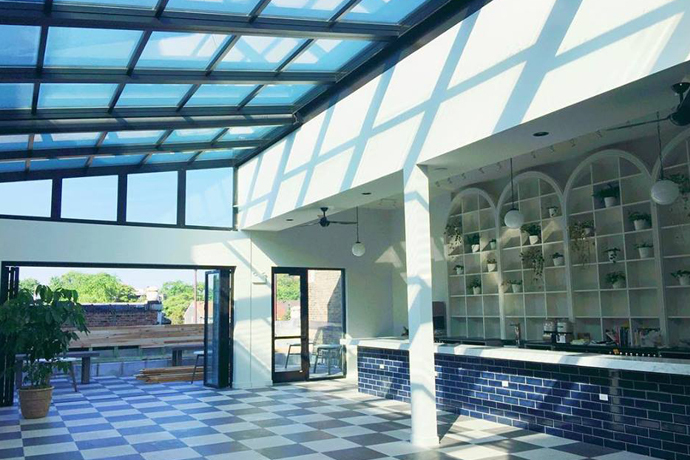 We know just the place: Bullhead Cantina, a seemingly inconspicuous beer-and-a-shot-and-a-taco joint that’s surprisingly well prepared for extended stays, now open Tuesdays through Sundays in Humboldt Park. Go on. Step right in. Look around. So far, so good. A nice neighborhood corner bar. Nothing extreme—unless you count a genuine Billy Beer can in the joint’s bric-a-brac collection as extreme. (A judgment call.) The overall effect: a nice ode to the time-honored idiom of the urban rock-and-roll honky-tonk. Great. But let’s get to the point where you care. Look across the bar. See that whiskey list—that’s right, these people came to play. They’ve got about 45 in stock right now and more to come. You’ll find big names and obscure things perhaps made by artisanal moonshiners on a mountain somewhere in Kentucky. Sure, there are burgers and cold beer, but since no artisanal mountaintop whiskey is complete without a baker’s dozen of tacos served in housemade tortillas, you’ll probably want to order the beer-grilled chicken, the herb-rubbed brisket or the pork cooked in a banana leaf. Banana leaves make everything better.